The 19th century in Great Britain is noted for change. The Industrial Revolution, the coming of the railways, schools for general education, improved sanitation and life expectancy. North Mymms Parish was involved directly or indirectly in all of these and, as a consequence, at the end of the century, experienced a considerable rise in population. In 1893, Little Heath became a separate ecclesiastical parish, but remained a part of the civil parish as it continues to this day. In 1894, the Parish Council was formed to take over some of the duties and responsibilities previously covered by the Parish Vestry and the churchwardens. The Church continued to have a great influence on the minds of activities of the people. 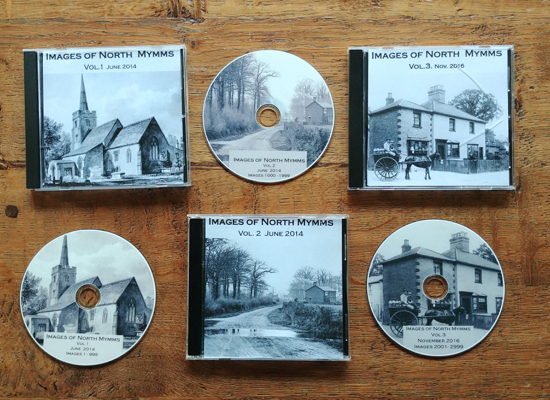 By the beginning of the 20th century, in spite of all these changes, the Parish of North Mymms was still very much a rural community under the control and authority of the Church and the principal landowners. The larger estates of Brookmans, North Mymms Park, Potterells, Leggatts, Hawkshead and Abdale were still privately occupied each with its own indoor and outdoor staff. Bell Bar and Roestock with generally smaller houses and local tradesmen, including builders, butchers, bakers, blacksmiths and possibly a small grocery store and one or more public houses. Although the Great North Railway, (later named L.N.E.R.) ran for several miles through our Parish, our nearest stations were Potters Bar to the south and Hatfield to the north. 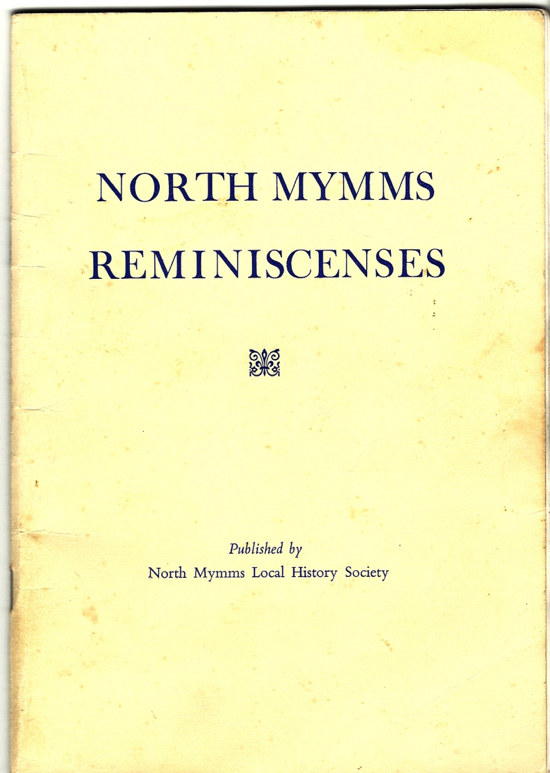 Compared with the present time, the inhabitants of North Mymms had little time for leisure. However, copies of the Parish Magazine record that in the years before the Great War (1914-1918) North Mymms had three cricket clubs, the North Mymms Club, North Mymms Park Estate Club and Brookmans Park Estate Club. Not many games were reported for any one-year and games did not necessarily take place on a Saturday, but to play games on a Sunday was very definitely taboo. The War saw the end of the estate clubs. The North Mymms Club welcomed members from the disbanded clubs and through the generosity of Mrs W.H. Burns (Sir George Burns’ grandmother) they were able to use the ground at Waterend which had previously been used by the Estate Club. That happy situation still continues thanks to Sir George Burns. My father came to North Mymms from Henlow in Bedfordshire to take up a position as head gardener at Potterells in 1913. I remember being told that he came by bicycle for the interview and having been successful, he cycled straight back to Henlow. I also remember being told that when the move was made our furniture came by horse-drawn pantechnicon and took two days for the journey, stopping at Codicote on the way. This meant that my parents, my brother and I were accommodated over night in the 'big house' instead of in the Lodge as had been expected. I do not know how we, the family, travelled, but I expect it was by train from Henlow to Hatfield. My own first real memory of North Mymms was being held up by my mother at the half-moon window at the front of Potterells Lodge (now the Potterells Medical Centre) and seeing the Zeppelin coming down in flames at Potters Bar in 1916. Then I have a vivid memory of a day in 1919 when my mother received a telegram to say that father was being demobbed from the Army and the troop train would be leaving King's Cross at a certain time. My mother and brother walked to Potters Bar station to meet him. A housemaid from Potterells came also and she stopped with me and waited on the footpath opposite the coal duty stone near Hawkshead railway bridge. Alas, the troop train did not stop at Potters Bar. We all walked home again, but before we got there we met father who had walked back from Hatfield and had been told where his family had gone. The school leaving age at that time was 14 years. The boys' school in Dellsome Lane took boys from 7 years to 14 years. The girls' school at Waterend took girls of similar age and also infants, both boys and girls, from 5 to 7 years. My first two years were spent at Waterend. They brought mostly happy memories. The journey across the fields from Potterells was easy in good weather, but in bad weather a longer walk by road was involved. At 7 years I was transferred to the boys' school where the headmaster was Mr. Benjamin Mallett with one male assistant. My recollection is that the numbers on the roll were between 60 and 70. At Waterend the numbers were rather higher. In 1920 at church we had a new choirmaster and organist, Mr. F. G. Waller, in place of Mr. Mallett, who had resigned. I joined the choir. At that time the choir sat in the chapel immediately in front of the pipe organ. The pews or seats in the chancel were then occupied at services by the Gaussen family of Brookmans Park (Mrs. Gaussen was patron of the living) and the Burns family of North Mymms Park. In 1921 changes were in hand. The choir was moved into the chancel and was robed for the first time. The Bishop of St. Albans (Michael Furse) came for a service of dedication at the new War Memorial and the opening of the new churchyard. The choir then consisted of about 6 men, 6 ladies and 20 boys. Soon after this electric lighting was installed in place of the hanging paraffin lamps and the glass panels were removed from the screen between the chancel and the chapel. In 1922 Mr. Mallett at the boys' school was nearing retirement. My brother and I were, with approval, transferred to St. Audrey's school at Hatfield. After a few days walking each way we each had bicycles which made travelling much easier. It was about this time that the North Mymms troop of Boy Scouts was reformed under the leadership of Mr. Geoffrey Marchand of Travellers Lane. The 1st troop had lapsed when Sir William Leese left Welham Lodge (later called Welham Manor). 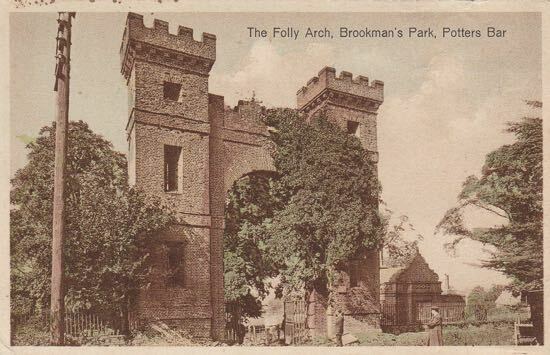 In the summer of 1923 Brookmans Park was sold and we scouts were allowed to camp in the park for a fortnight. Our camp was situated in a spot now represented as halfway up Brookmans Avenue. Then there was no road and not a house in sight. We reached this position through a gate on the left hand side at the top of Moffats Lane. At Whitsun 1924 we camped at Digswell with several other troops. Walking each way pullmg our trek cart loaded with our bell tent and other gear was not exactly easy but we thoroughly enjoyed the experience. Later in that same year we camped at Wembley as part of the Scout Jamboree coincidental with the British Empire Exhibition. 1924 was an eventful one for me as I won a scholarship to Hertford Grammar School. At that time there was no alternative allocation from St. Audrey's. The journey involved cycling to Hatfield to catch the 8.21 train to Hertford North station and then a walk of about a mile. Because many more boys came from Ware and Hoddesdon and other places to Hertford East station and the arrival of their train in the morning was later, school did not start until 9.20 am. This meant that the end of school day was 4.20 pm. My train back to Hatfield left Hertford North at 4.20 pm which involved permission to leave early and a run to the station. This was not always possible. The alternative was to wait for the next train at 5.40 pm. School at Hertford involved classes on Saturday mornings and sports on Wednesday and Saturday afternoons. Brookmans Park station was opened on 19th July 1926, but I continued to cycle to Hatfield. Brookmans Park as a desirable residential area continued to grow. During the 1920s one remembers village gatherings at the school in Dellsome Lane or the Scout House in Dixons Hill Road and the annual flower and vegetable show usually then held at the Men's Institute and the field adjoining. At school, entertainment might be provided by Mrs. H. F. Seymour at the piano and her daughters Kathleen and Gwendoline on cello and violin respectively and friends giving other items. There was of course always a good cause to be supported. Gwendoline was also captain of the North Mymms Girl Guides. Mabel the oldest daughter was excused music because she suffered from deafness. After Mr. Hugh Francis Seymour of Potterells died, his widow and three daughters moved away and his son Horace James Seymour took over the estate with his family. His Foreign Office duties took him abroad a lot and he sold Potterells at about the end of 1933 to Mr. H.P. Small, a builder who hoped to develop the estate for housing. Succeeding events never allowed this to happen. The 'big house' was never lived in again. During the 1939-45 War it was used as a furniture depository and has now fallen into complete ruin. I left school in 1929 and after a few weeks doing very temporary jobs and after many and varied applications, succeeded in obtaining a situation as a junior clerk with an insurance company in St. Albans. After a month or two travelling to St. Albans by tram from Brookmans Park station and changing trains at Hatfield, I found it quicker and cheaper to use my bicycle. The rail season ticket was £1.2s.0d for a month. My annual salary for the first year was £52. I remember that at that time one could go into a Lyons tea shop and with waitress service one could obtain a roll and butter and a cup of tea for fourpence (4d.). For the 1930 cricket season I had been elected as Hon. Sec. and treasurer of the North Mymms Cricket Club. At that time the playing members subscription was 2s/6d (12 and a half pence) and one of my first duties was to write to a number of local residents and friends of the club for donations. The fixture list for one team only for Saturdays only had already been arranged by my predecessor. That year I remember especially because our vicar and Cricket Club president, The Rev. C.G. Ward, retired to another parish in Lincolnshire and his farewell gathering took place on the cricket field. Mr Ward in his time had been a good cricketer and for some years while he was our vicar he had been captain of the Hertfordshire County Team. Mr. George Burns succeeded Mr. Ward as president of the North Mymms Cricket Club and we are delighted that he continues still in that capacity. We remember when he played for the club, and when he brought a team of friends and fellow Guardsmen to play against us. Brookmans park continued to develop, especially after the railway was opened in 1926. Then there were the war years 1939/45 and since then we've seen continued development in all parts of the parish, with increased population largely of commuters travelling out of the parish during the day by train or car and returning home in the evening to be entertained by television or radio. Such great changes since the beginning of the century. Then a little money really had to stretch a long way. Then if one could not pay, one had to do without. Mortgages or loans were normally limited to house purchase. 1) Admiral Sir John Fellowes ofRoestock Hall. 2) Queen Mary, who used to visit Mrs. Evelyn Burns and to see the rose garden. 4) Diana Henderson of Moffats, who in due time became the widow of Col. David Forbes. She married again 1946, becoming the second wife of the 6th Marquess of Exeter. The latter perhaps being better known as Lord Burghley, the Olympic gold and holder of various athletic records which lasted from the middle 1920s till after the 1939/45 War. 6) Lt. Gen. Oliver Leese (born 1895), who lived as a boy at Welham Lodge, was educated at Eton. Entered the Army and was awarded the D.S.O. in the 1914/18 War. Commanded 1st Battalion Coldstream Guards 12936/38. Succeeded Viscount Montgomery as C-in-C Eighth Army, later G OC-in C Eastern Command. Retired in 1946, Became President of Warwickshire County Cricket Club in 1959 and of the N.C.C. in 1965. 7) Lord Charles Clauson of Hawkeshead, Lord Justice of Appeal. 8) Sir Horace James Seymour. (Born 1885. Died 1978). Employed in the Foreign Office and Diplomatic Service. Held various posts abroad. Was ambassador to China 1942- 1946. Retired in 1947. 9) King Peter of Yugoslavia, who with his exiled cabinet, spent Christmas 1942 at Abdale House. 10) Marshall of the RAF., 1st Viscount Trenchard, who did not live in the Parish, but who frequently attended morning service at North Mymms Church. Commissioner of the Metropolitan Police. 11) His son Thomas, 2nd Viscount Trenchard, sometime Minister of State for Defence Procurement, lived at Abdale. Died 1987. His widow Patricia, Lady Trenchard still lives at Abdale. 12) Major General Sir George Burns, who after leaving Cambridge entered the Army. Coldstream Guards. Retired from office as Colonel of the Coldstream Guards on 29th January, his 83rd birthday. Many honours. Sometime Lord Lieutenant of Hertfordshire, etc., etc.